Having slept only three hours Saturday night Sunday morning, Chad and I somehow got up on Sunday to go to el Rastro, Madrid's outdoor flea market. The flea market takes place every Sunday morning and is a great place to buy souvenirs, or certain household items if you're a Madrid resident. Chad said he was amazed at the variety of things sold at the Rastro. I got my watch necklace fixed at this little watch booth there, and bought another for my German friend. I also bought a pair of mens' black boxer briefs for 2 euro, which will work perfectly as spandex for frisbee or boy-short swimming bottoms. (Another female teammate suggested I buy some here -- great advice). We wandered along the side streets, looking at the various flea market items. After leaving the Rastro, we walked to Plaza de España where we got lunch at the secret Chinese restaurant in the underground parking lot underneath the plaza. Chad said it's the best Chinese food he's ever eaten -- I'm not making this stuff up! After lunch we drowsily took the metro back to my apartment, where we were very much looking forward to an afternoon siesta (nap) before the bullfight we had tickets to later that evening. 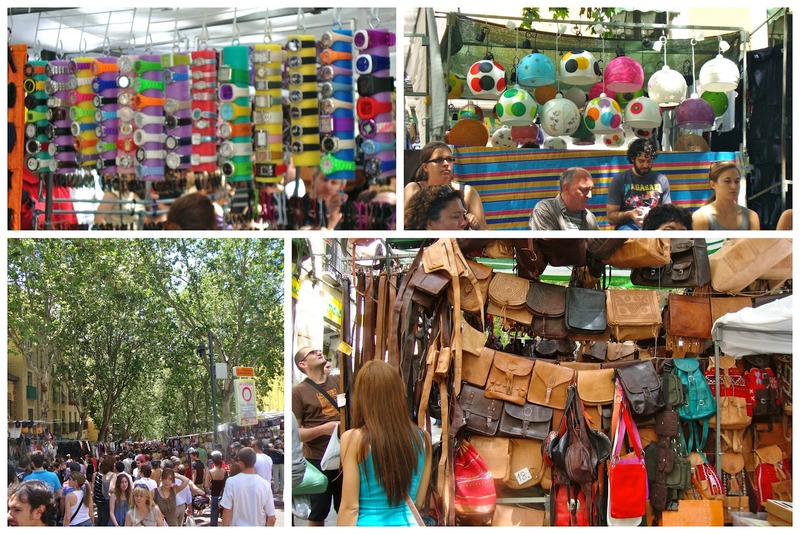 Warning: El rastro can be a crowded place with lots of tourists, meaning it's a pickpocket's heaven. Put your wallet in your front pocket and don't bring anything you don't need. I always bring my drawstring bag instead of a purse, and I wear it over my shoulders in the front instead of on my back. I walked passed that restaurant once (several years ago)! All the signs were in Chinese-- I figured they didn't expect any non-Chinese customers. Maybe that's why it was so good? The menus they've got now have the items written in Spanish (in a smaller font) underneath the Chinese. Not sure why it's so good, but we found ourselves in the area and ate there again tonight already!